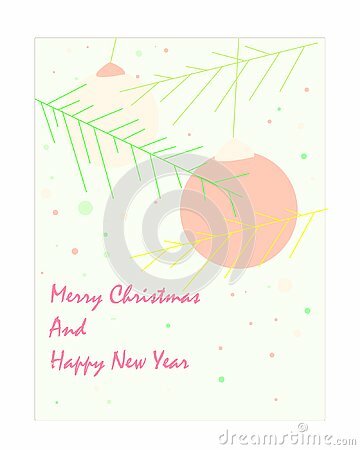 New Year greeting card in beige and peach colors. A gift gift to relatives and friends. Happy New Year and Christmas. Festive mood and unforgettable emotions. Stars on a white background. Black star shooting with an elegant star.